The Orionid meteor shower will be visible near the Orion constellation. Little bits broken off from Halley's Comet will be streaking across the sky this weekend. The annual Orionid meteor shower will peak early Saturday morning, according to EarthSky.org. The best time to watch is just before dawn on Saturday, though if you watch between midnight and dawn on either Saturday or Sunday, you should get a good show. Viewing conditions will be ideal, according to Earth Sky, because it's one day after the new moon, so there is little to no moonlight. There could be as many as 10-15 meteors per hour. Around this time every year, the Earth's orbit intersects with the path of Halley's Comet. Though the most famous of all the comets is very, very far away, it leaves behind debris, bits of dust that appear as shooting stars when they streak through our sky, which we call the Orionid meteor shower. 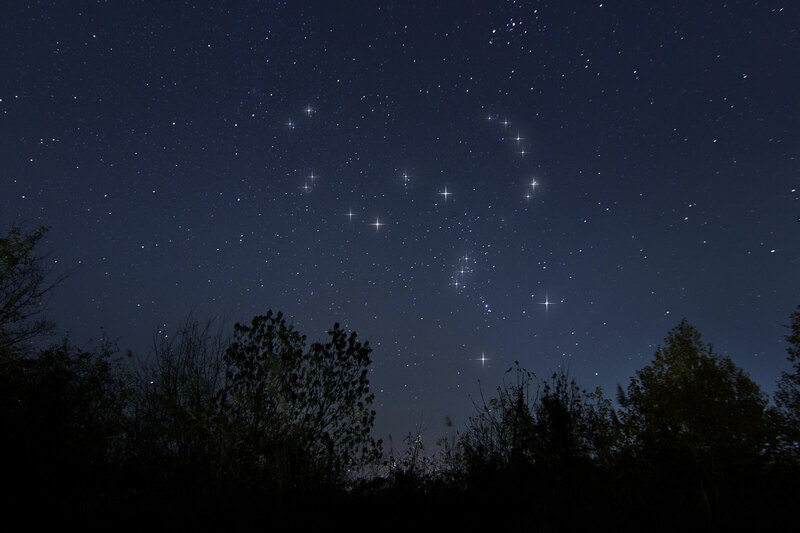 The constellation Orion the Hunter is shown in the night sky. The shower is called the Orionids because of where it appears in our sky. To find it, look for the constellation Orion the Hunter, the shower's radiant point. If you watch the shower just before dawn, you can also catch Mars and Venus in the east, and Sirius in the south.